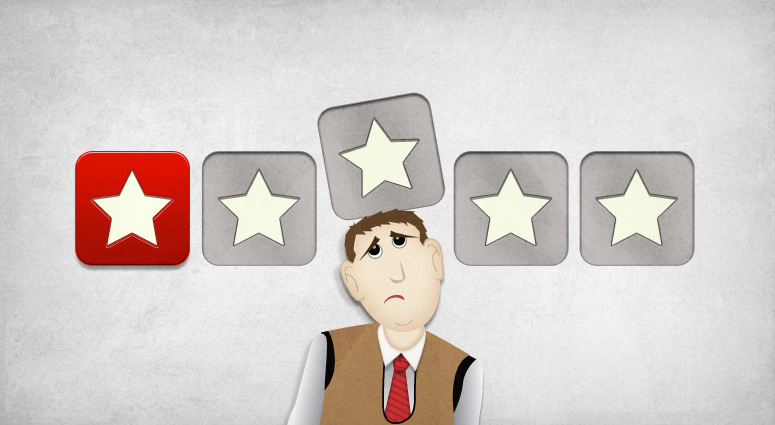 The question I get asked most often (after whether social media activity helps with sales and profitability) is how to handle negative online reviews. The comments left by other customers, and any responses left by the company, are available for all to see, and can impact on the company’s reputation. So, many companies worry that their response might do more harm than good. If you are one of them, you may find this study by Beverley A. Sparks, Kevin Kam Fung So and Graham L. Bradley interesting. The authors investigated 1) whether providing a response was better than providing no response, and 2) how different elements of a response would impact on the consumers’ trust in the company and their belief that the company is ‘attentive, caring, and responsive to customer needs, preferences, and emotions’ (page 76). The researchers develop a simulated webpage with the name of the hotel, a photo of the exterior of an unidentifiable hotel and several photos of service employees, a booking search panel, and a fictitious map of the hotel location. The simulation also included one negative consumer review. Action frame – the responses indicated whether the hotel had already taken action to address the issue flagged in the review, or, instead, that it was going to take action in the future. Here is a brief summary of the findings in the Sparks and colleagues’ study. The study is very clear: any response (from the options above) had a more positive impact on trust and consumer concern perceptions than a no-response. in the review, and were respectful. Quickly! Responses within one day had the most positive impact on consumer evaluations of the company. In fact, responses posted 30 days after the initial complaint had minimum to no effect on consumers’ trust in the company, or their perception that the company cared. This finding is in line with my own research on the role of social media on customer service, where most respondents expected a response within 24 hours. The literature suggested that a response from a highly ranked member of staff would be preferable to one from somebody else. But, in this case, it did not really matter. Again, in my own research I found that consumers care more about reliability (i.e., consistent levels of service, and knowing that they will be able to access the organisation and get a response) than who is handling their query. Essentially, they want their problems solved. Curiously, this was the factor that had the single biggest impact on trust and concern perceptions. Specifically, perceptions were most positive when a conversational (i.e., open, direct and friendly) rather than a formal one was adopted. This, I think, reflects how we use social media in general. We tend to be rather informal, often using abbreviations and even emojis to communicate our ideas. How reactive do you need to be? Whether the hotel had already taken corrective action, or was planning to do so in the future, did not really matter in terms of improving trust or consumer concern perceptions. In some contexts, this may be quite liberating for busy organizations in that the receipt of a criticism requiring corrective action need not be cause for changing ongoing schedules or plans (page 83). In summary, when it comes to handling negative online reviews, response speed and voice matter; status and frame of action not so much. But whatever you do, if you want to show potential consumers that you are a trustworthy company and that you care about them, do not ignore a negative online review. Posted on October 20, 2016 October 17, 2016 by anacanhotoPosted in Marketing in everyday lifeTagged Beverley A. Sparks, Complaint management, Complaints, eWoM, Graham L. Bradley, Kevin Kam Fung So, negative eWoM, Online reviews.